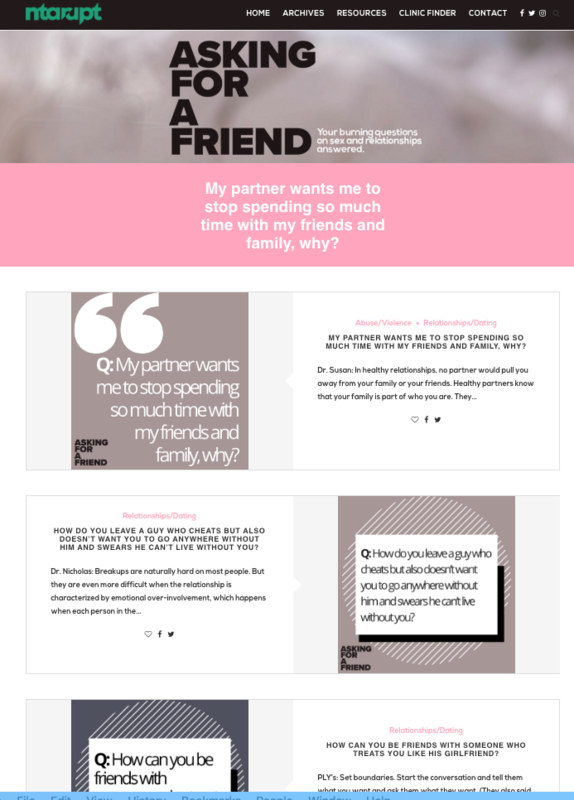 We worked with the non-profit, NTARUPT (North Texas Alliance to Reduce Teen Pregnancy), on a microsite that would be attractive to teens and easy to use. The objective was to develop a teen relationship Q&A database specifically geared toward mobile devices. We used WordPress to develop a mobile-friendly framework. Our team worked with the non-profit through various revisions to perfect a clean, scrolling layout that adolescents would want to use. 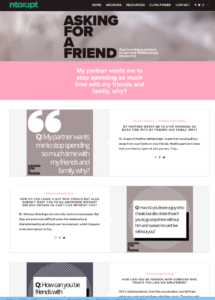 The new microsite has a similar feel and layout to social media sites that teens are familiar with. The site allows users to find information quickly and easily, with a companion desktop site for users off of the mobile platform.